OECD Forum 2018: Safeguarding our Oceans | The Forum Network, hosted by the OECD: Shape ideas. Shape policy. Shape the Future. Oceans are critical for life on earth, but this truism has not stopped us from depleting them of their ecosystems and polluting waterways to unsustainable levels. Destructive fishing techniques, overfishing and bycatch, activities in the oil and gas sector, and industries like deep-sea mining are continuing as if business as usual were even still an option. 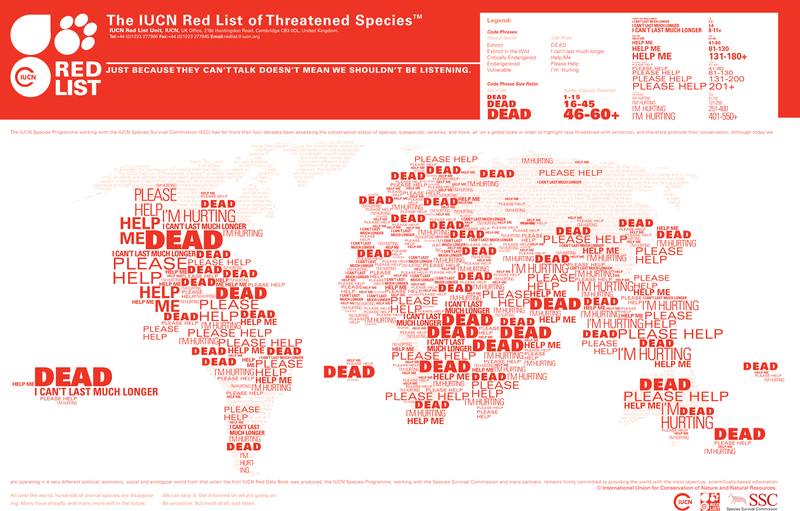 More than 60% of the world’s major marine ecosystems – including seas, salt marshes, intertidal zones, estuaries, lagoons, mangroves, coral reefs and the deep sea - have been degraded, threatening the lives of over 700 marine species, now on the IUCN Red List of Threatened Species, not to mention our own. About 3.1 billion of us rely on the oceans for almost 20% of our animal protein intake through seafood, and more than 500 million livelihoods are engaged in ocean-related activities. Sustainable oceans management is at a critical threshold today and needs major political mobilisation so that marine biodiversity (and the wider Convention on Biological Diversity) gets the same high level of political and financial engagement as climate change has received with the Paris Agreement. Part of the problem is that, unlike climate change, biodiversity is intangible, more fragmented and more difficult to measure. This is the note on which Anthony Cox, Head of the OECD Environment Directorate, opened the “Safeguarding our Oceans” panel at OECD Forum 2018, which brought together three prominent speakers, moderated by AFT journalist Elise d’Épenoux, to talk about the state of marine biodiversity today and how we can better mainstream it across the OECD Forum political landscape. A number of studies have tried to estimate the economic value of marine ecosystems. While these vary in terms of scope (e.g. different ecosystems, varying geographical scales), they serve to illustrate that the benefits are considerable. UNEP estimates that the cumulative economic impact of poor ocean management is of the order of USD 200 billion per year. UNDP estimates that the number of people engaged in coastal livelihood activities, marine and coastal resources directly provide at least USD 3 trillion worth of economic goods and services annually. According to UNESCO, the marine environment supports approximately 61% of world’s total gross national product (GNP) by directly and indirectly providing fundamental goods and ecosystem services (including coastal tourism, recreation and employment) upon which human well-being depends. 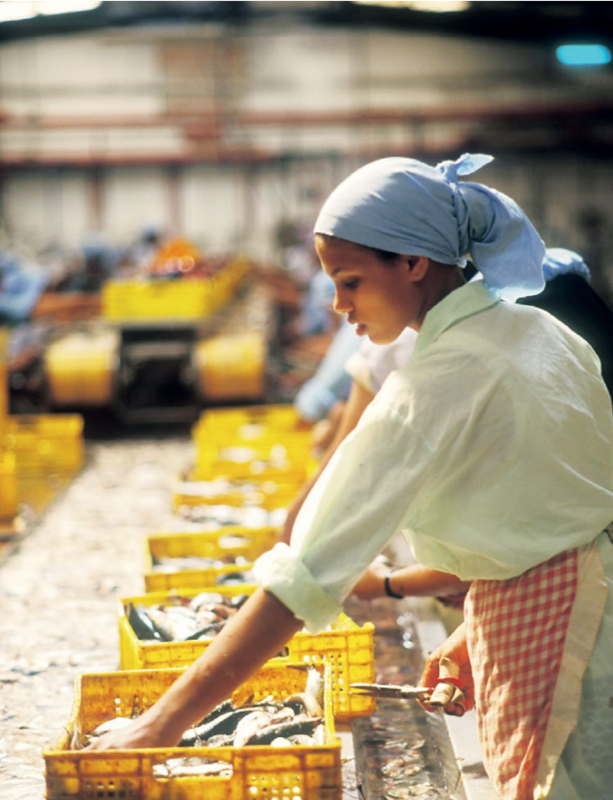 The FAO reckons that global aquaculture production (including food fish and aquatic algae) contributes about USD 162.2 billion towards the global economy. And to these numbers we can add those for the shipping industry, which contributes to 90% of global trade, and those of marine and coastal tourism, which represents overall about 5% of global GDP. Clearly linking marine biodiversity to “hot issues” in contemporary political agendas – like sustainable livelihoods, fishing and plastic – is one step in the right direction to help mobilise public discourse on the topic. 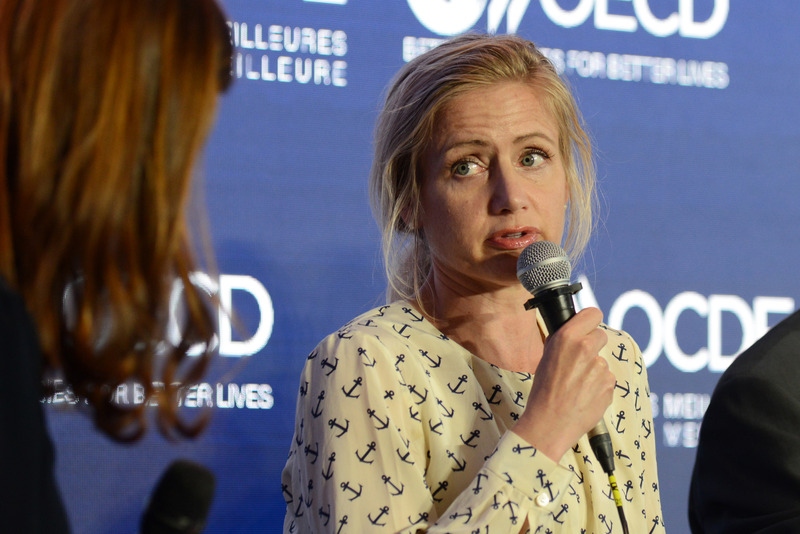 Lisa Svensson, UNEP’s Global Director for Ocean and former Ocean Ambassador for Sweden, noted that while plastic is but one issue in a complex web of factors affecting the state of our oceans, it can be a good issue for raising awareness and communicating with the public at large due to its visual and concrete nature. Marine debris – especially plastic – is being dumped into our oceans at the rate of 12.7 million metric tonnes per year (more than 80% of ocean pollution comes from land-based pollution.) 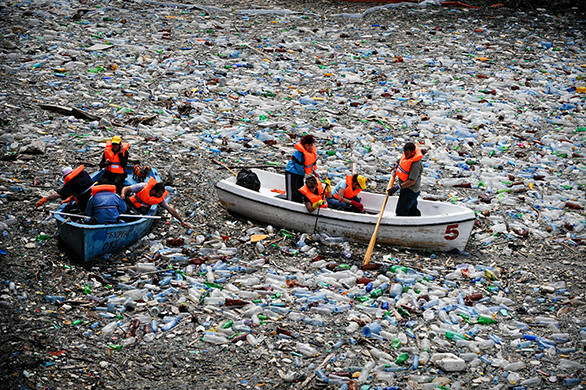 According to UNEP, the damage caused by plastics to the marine environment is estimated at USD 13 billion per year globally and upwards of USD 75 billion when considering the total natural capital cost of plastic used in consumer goods. Svesson cited a personal example in which participation in a beach clean-up in Alicante put the problem of marine pollution into sharp and immediate perspective for the CEO of Volvo Cars. Volvo later went on to declare that it would phase out its internal use of plastic. Private sector awareness and mobilisation will be key game changers when it comes to saving marine biodiversity. 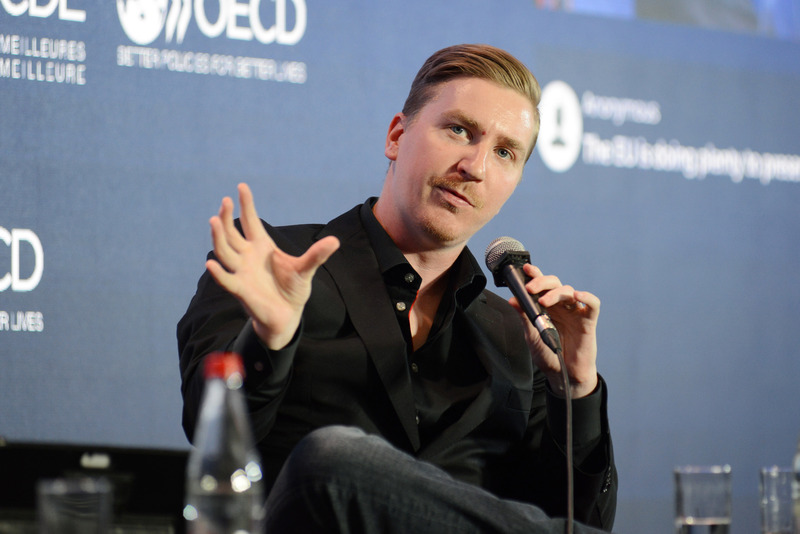 Shaun Frankson, whose company The Plastic Bank is a model for innovative work related to the environment within the private sector, described how his company helps transform recycling into a way to reduce poverty, aligning environmental and social targets into his business model. According to Frankson, a double paradigm shift in how people think about plastic is really what is needed to effect change, recognising plastic as an object of value (as opposed to waste) and also as a unit within a larger picture that needs to be effectively and sustainably managed. There have been some small wins recently. Europe, which produces 20% of the world’s plastic, is putting into place a plastics strategy aimed at discouraging single-use plastics for containers and packaging in the food and beverage industry. 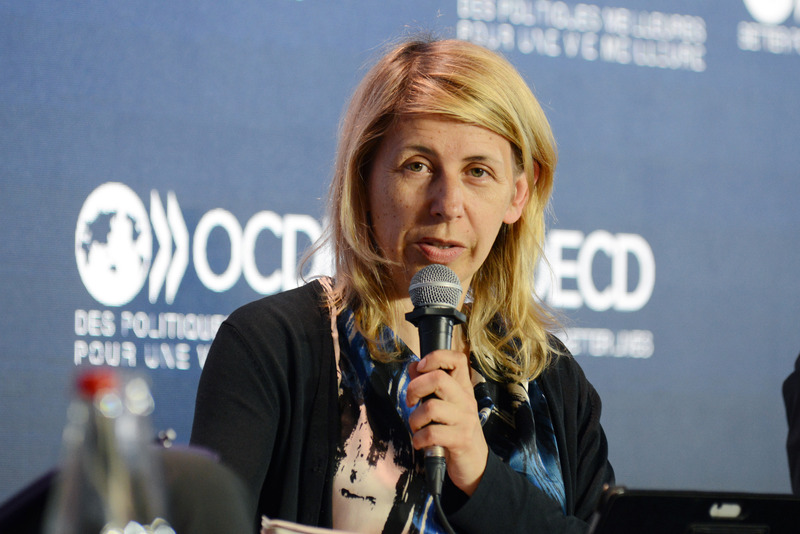 Céline Charveriat, Executive Director of the Institute for European Environmental Policy, also highlighted the recently-met target within SDG 14 that aims for conservation of at least 10% of marine areas and which has effectively quadrupled the spatial coverage of protected marine sites between 2008 and 2015. But conservation is not enough and bigger wins are needed, like the importance of regulation for taxing new plastic and encouraging eco-design and more recyclable plastic (only 14% of the 400 million tonnes of plastic produced yearly are actually recycled in part because collecting, sorting and processing waste plastic is expensive, and in part because there are many types of plastic with different combinations of polymers and sometimes hazardous chemicals). Beyond plastic, bringing marine biodiversity to the forefront of international agendas means heighted awareness and concerted, co-ordinated action, pulling all these strands together to allow for more structured and innovative solutions by a diversity of actors. We may need an international body to deal with ocean and biodiversity issues, but in the meantime organisations like the OECD, and bodies like the G7 and G20, can help gather the voices of change and the necessary data to measure biodiversity in its many dimensions in order to formulate guidelines for countries, companies and consumers that push for ocean sustainability. As perhaps best formulated by Shaun Frankson, “this is neither an ocean problem nor a plastic problem, it’s a human problem”. Over 20 years of experience in content editing and publishing management in the social sciences and public policy. 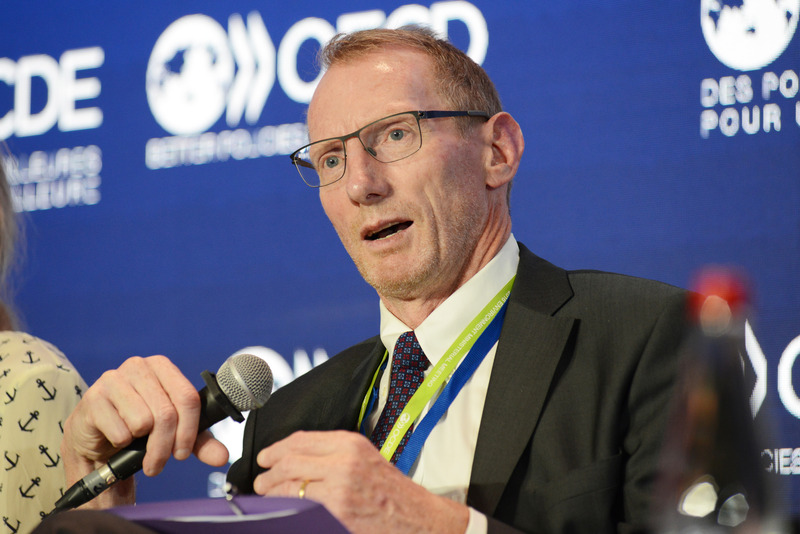 Joined the OECD as a managing editor in 2011, responsible for a portfolio of subject areas (agriculture; environment; local economic development, entrepreneurship and SMEs; trade; transport; science and innovation). Previously worked at UNESCO (2001-2010) as editor-at-large and project editor. Trained in private academic publishing in New York.